Image variations are different versions of the same image. You can use them to scale images, crop them, add effects, etc. 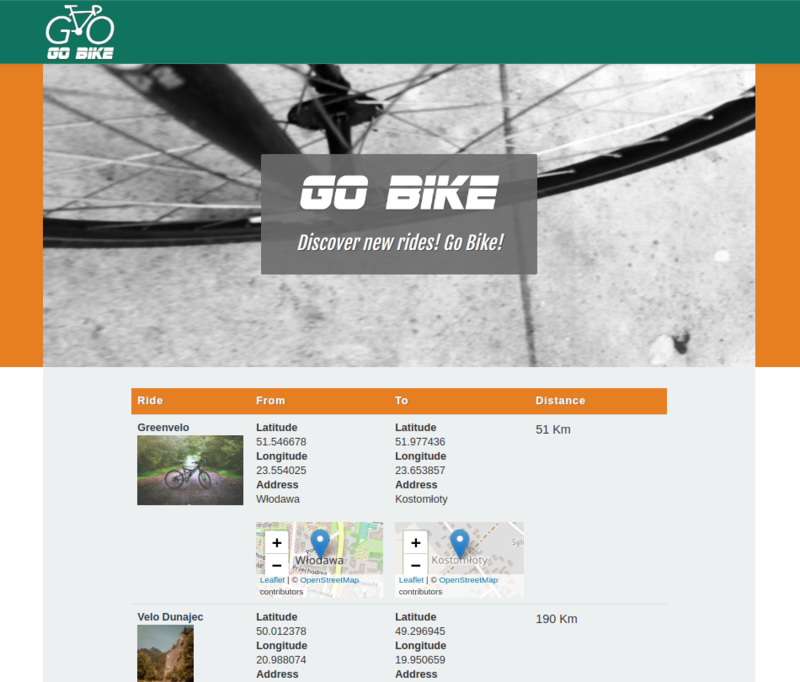 So far the images in the ride list are fitted to the templates automatically, and the result does not look good. Now you will create a variation to specify how you want the images to look in detail. Next, modify the templates to use these variations. Variation names are provided as parameters when rendering the image content. This ensures that the photo displayed next to each Ride in the list will be scaled down properly with proportions retained. Clear cache and refresh the front page. Photos should now have a regular size and fit in the table. In a larger site there are many elements that need configuration. To keep it more organized, you can split parts of configuration into separate files.